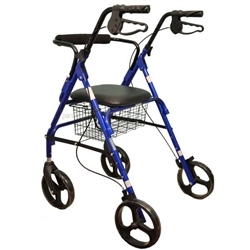 Height adjustments: Seat height: 18"-22", Handles: 29.5"-38"
Approximate user height: 5'4" - 6'1"
Height adjustment: 32" - 37"
Height adjustments:, Handles: 33.65 - 38.75"
Approximate user height: 4' 11" to 6' 4"
Height adjustments: Seat: 21"-25", Handles: 31"-37"
6" wheels for indoor and outdoor use - Padded backrest for more comfort. 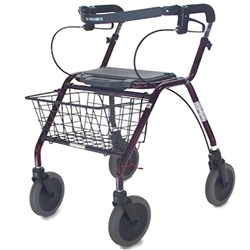 Front wire basket makes carrying items easier. 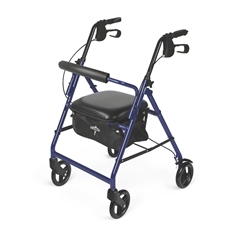 The 4-Wheel Rollator provides firm support and it can help to increase mobility over that of a wheeled walker or a walker without wheels. 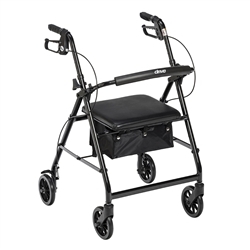 Most of the 4-Wheel Rollators now feature a padded seat not only for added comfort, but also to provide a spot to rest nearly anywhere you go. 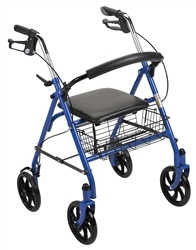 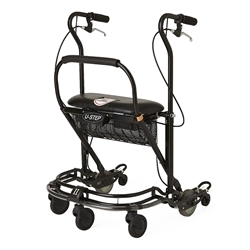 This makes them more versatile than regular 2 wheeled walkers and more stable than the 3 wheel rollators. 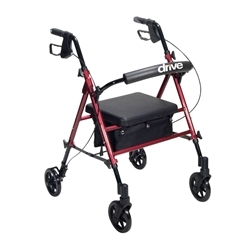 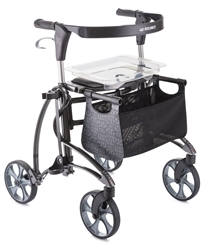 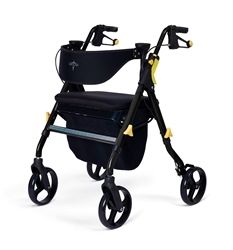 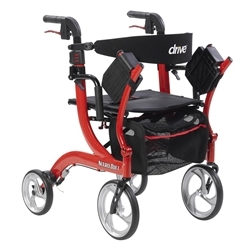 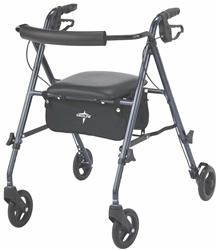 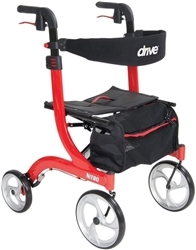 The Drive Nitro Rollator, solves this issue as it beautifully combines both an appealing design with functionality. 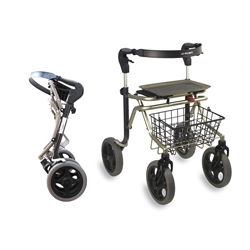 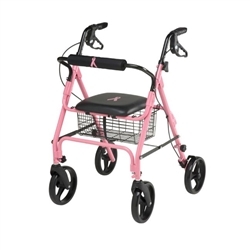 This 4 wheel rollator includes popular rollator accessories like a rollator pouch to help you hold things and 10" wheels to help you get around.